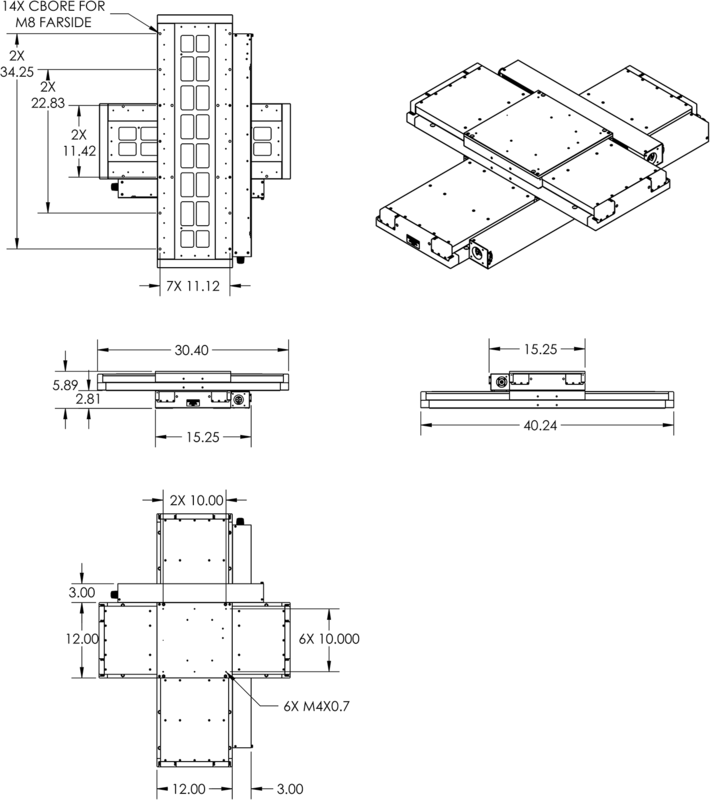 OEM Motion Solutions | TRS650x400 Stage | Reliant Systems, Inc. 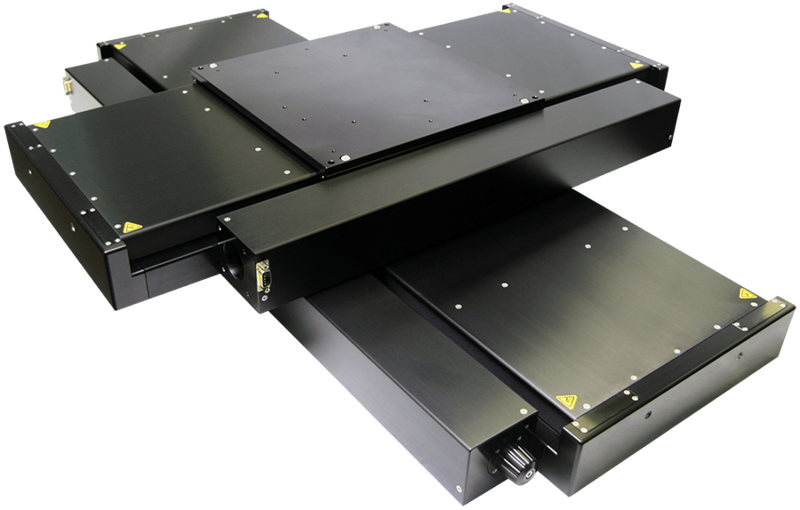 The TRS650x400 stage body is wider than most stages in this travel length in order to minimize cantilever and its affects. It also provides a larger, more stable platform for sample fixturing. 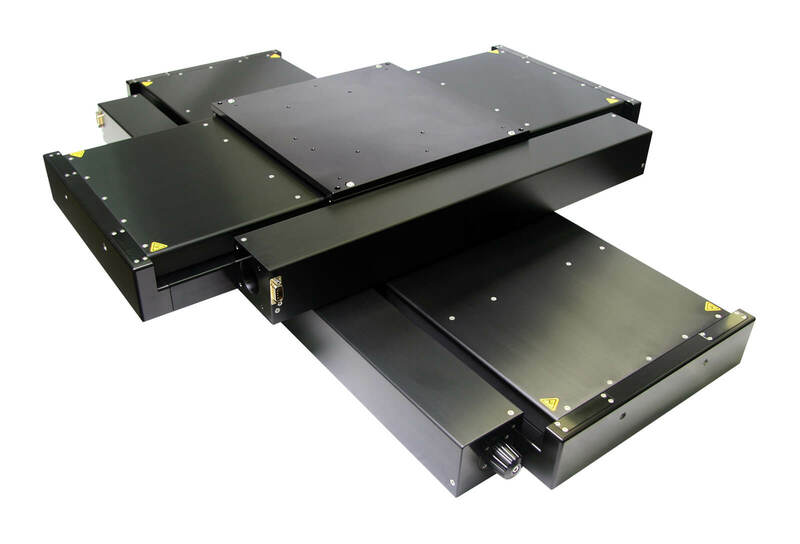 The integrated shielded vertical side slots prevent debris from entering the stage body and interfering with performance and causing premature wear. The precision rails, along with careful alignment, provide excellent performance with regards to angular deviations and straightness of travel errors. Vertical and horizontal straightness errors are less than ±5.0µm over the 400mm travel, and less than ±8.0µm over the 650mm travel.